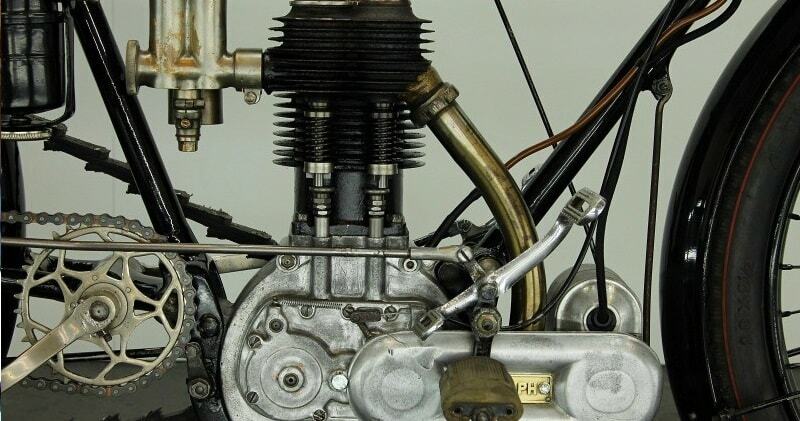 The first Triumph motorcycle of 1902 used a Belgian Minerva engine but within a few years the Coventry firm – originally a bicycle manufacturer founded by German immigrants Siegfried Bettman and Maurice Schulte – was building its own power units. 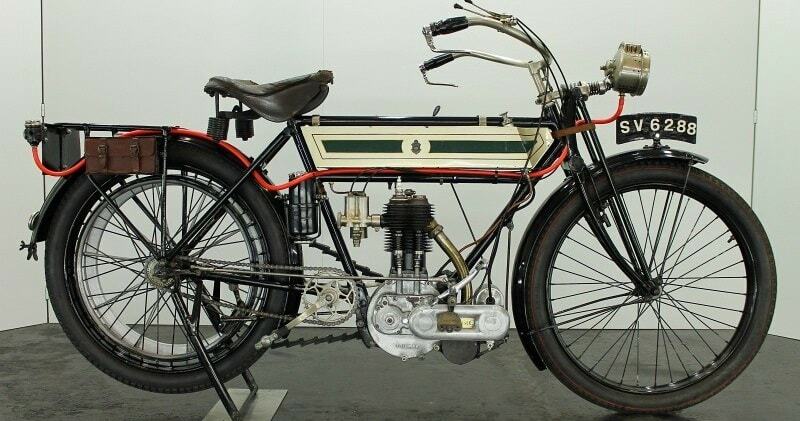 Triumph’s 3½hp model had first appeared in 1907.Originally of 453cc, its sidevalve engine was enlarged to 476cc in 1908 and finally to 499cc in 1910 before being superseded by the 550cc 4hp model in 1914. This machine is a practical veteran because of the clutch in the rear hub which makes it very rideable. This Triumph is equipped with a complete acetylene lighting and comes with a Pioneer Certificate.